The students in our school come to the computer lab once a week. I did two activities that I would like to share. First, I read to the students Clifford's Halloween by Norman Bridwell. After we talked about some of the costumes that children were going to wear this Halloween. Then we talked about some of the costumes that Clifford could dress in. Because this activity was with first graders, we all ended up doing the same. 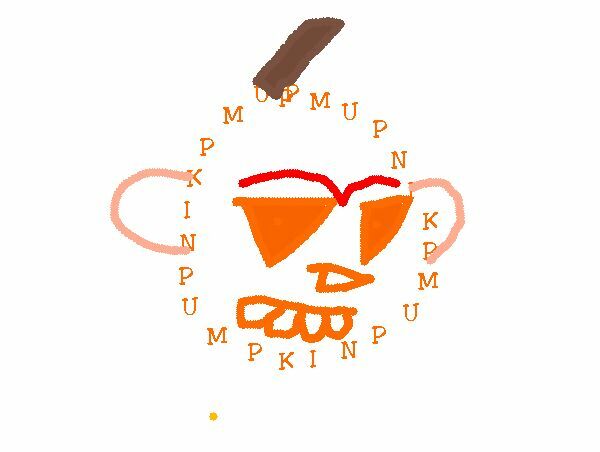 We decided to make a pumpkin costume using KidPix but in a non-traditional manner. Here are some samples. Select the Alphabet from the toolbox menu at the top. 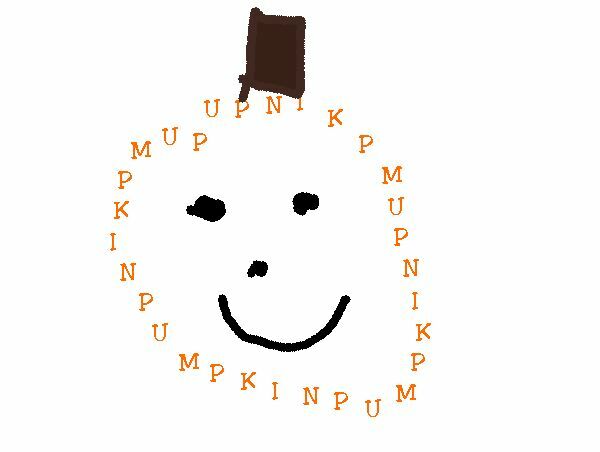 On the screen in the box remove any words that are there and type the word PUMPKIN. Put in a space and type PUMPKIN again. Continue this process until the first line is full. At the bottom click until you get the ABC icon and click on it. 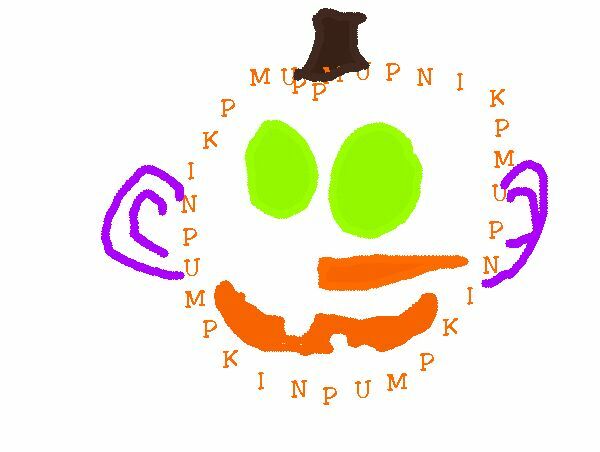 Hold the mouse button down while drawing the shape of a pumpkin. Use the other tool on the tool bar to finish the picture - eyes, nose, mouth, etc. 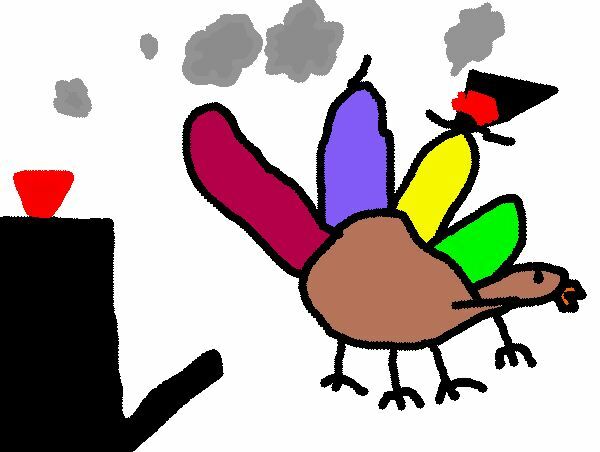 On another day the students heard The Turkey Shot Out of the Oven by Jack Prelutsky. This is a very funny poem that the children absolutely love. We discussed what happened to the turkey and why. 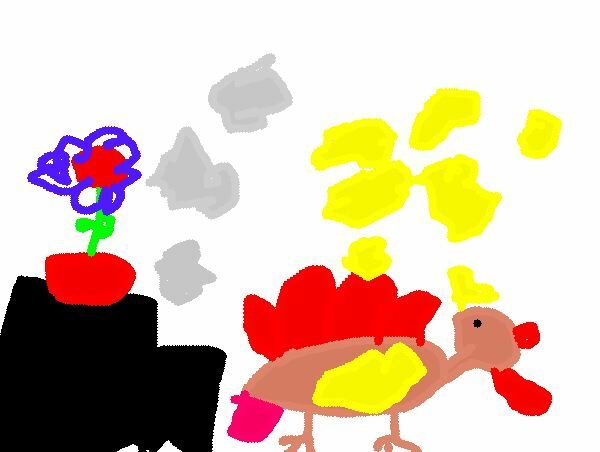 After listening to the poem, students used Kid Pix to draw a picture of our interpretation of what the turkey looked like when it shot out of the oven! They are really very cute as you can see from these samples. STANDARD 3.4 (LISTENING) ALL STUDENTS WILL LISTEN ACTIVELY TO INFORMATION FROM A VARIETY OF SOURCES IN A VARIETY OF SITUATIONS. The learner will be able to identify the distinguishing characteristics of familiar genres including stories, poems, and informational texts. The learner will be able to listen to stories. 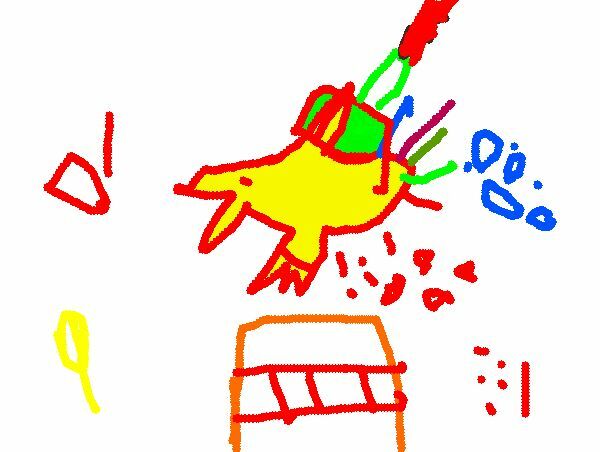 The learner will be able to make predictions based on the content of an orally read story. 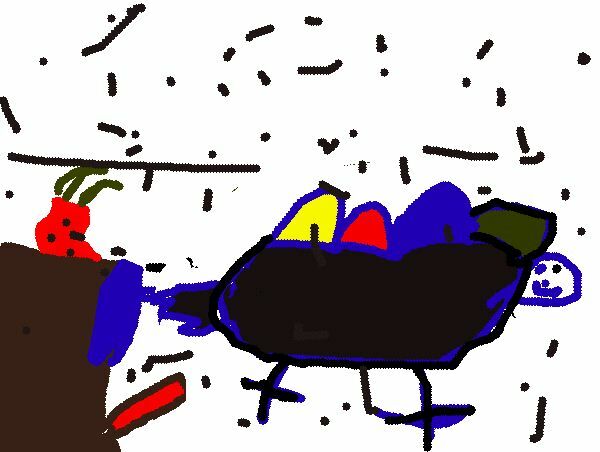 The learner will be able to use pictures to construct literal meaning from text.